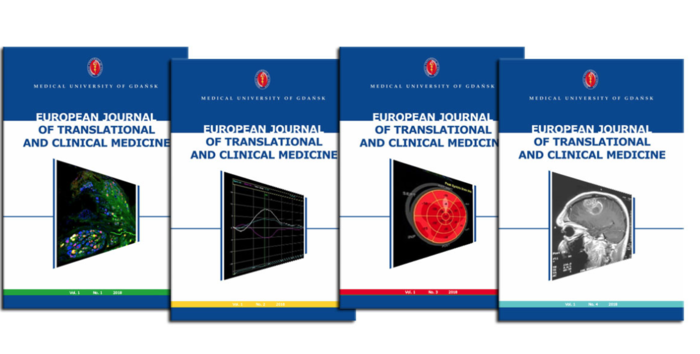 The inauguration of the 2018/2019 academic year also marked the premiere of the first issue of the European Journal of Translational and Clinical Medicine” (EJTCM), published semi-annually by the Medical University of Gdańsk. EJTCM is an Open Access journal published online at ejtcm.gumed.edu.pl, where all the articles are available free of cost under the Creative Commons (CC BY-SA 4.0) license. Publishing in the EJTCM is also free of cost as the authors do not pay any article processing charges. MUG staff earn bonus points for publishing in EJTCM. All submitted articles undergo a „double-blind” review process and are screened for plagarism using CrossRef. Once published, all articles receive a unique digital identified (DOI) and are listed in Google Scholar. At this time the EJTCM Editors are taking steps to index its articles in other well-known international scientific databases. In cases of publishing ethics issues, the EJTCM relies on the international guidelines by the Committee on Publication Ethics (COPE). The EJTCM Editorial Board is a team of ambitious scientists from our Alma Mater, supported by an International Advisory Board. Not only they are specialists in their fields of research with considerable published research achievements but they are also experienced reviewers and editorial board members of other international journals. We invite you to submit online your high-quality manuscripts written in English: editorialsystem.com/ejtcm.